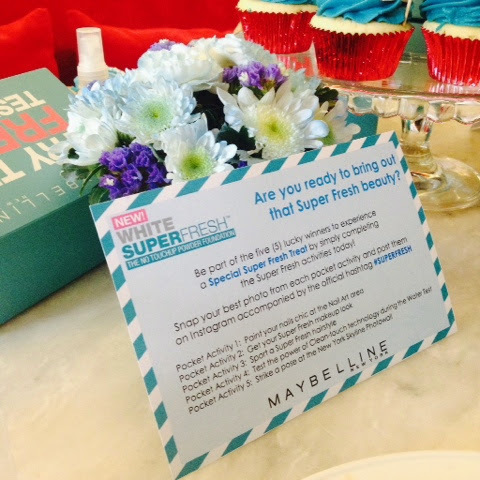 Maybelline's White #SuperFresh Launch! | Vanity and Everything in Between. 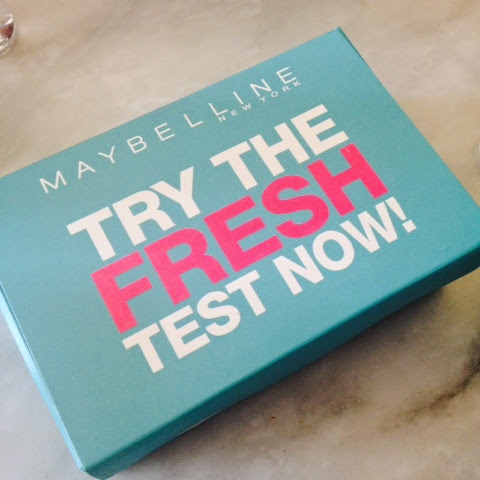 Last week, I attended an event by Maybelline because they were about to launch their latest product! I was excited when I read the description because I've been looking for that kind of product! We all want to look fresh 24/7. Yes? Yes! I got there just in time before it started. However, there were make-shift stations inside Cafe 1771 where you can have your nails done, have your hair styled, and get made up by their makeup artists. But first things first. How cure is this cupcake?! 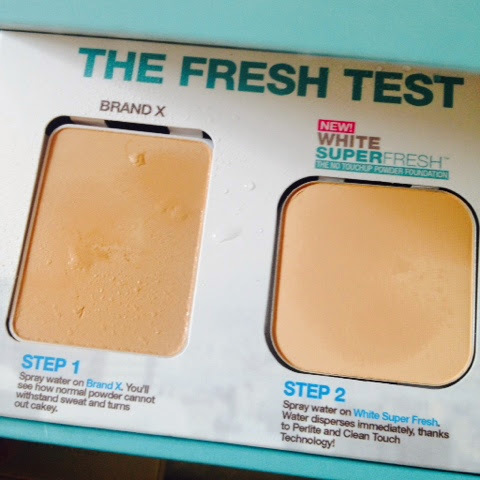 We were given an atomizer with water to spray on Brand X face powder and Maybelline's latest powder, White #SuperFresh powder foundation. Water was not absorbed by the powder on the left and it is starting to look cakey. Water was just absorbed by the powder on the right. I also posted a short video on Instagram to see what happens to the powders when I sprayed on water. I couldn't upload the video here so you can just check it on my Instagram or Facebook Page. 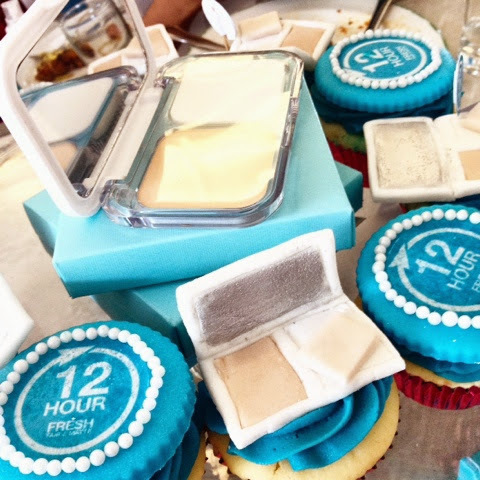 Thanks to Perlite and Clean Touch technology, you no longer need to re-touch your face makeup throughout the day! White Super Fresh claims a 12-hour staying power! And that amount of time is just enough as you get ready for work up until the time you get back at home from work. Thank you to Maybelline Philippines and Hannah Tejuco for inviting me to the event! It was fun as I was also able to catch up with some of the bloggers that I haven't seen since last year! Stay tuned for my review on Maybelline's latest product! 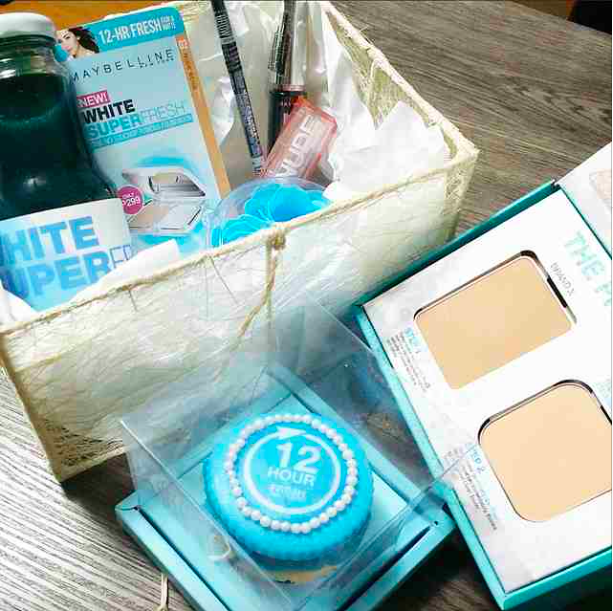 Maybelline White Super Fresh Powder Foundation will be available at stores nationwide on February 28, 2015! Save the date! im gonna try this it is way cheaper than the new released powder of L'oreal =) and yes, it was budget friendly too! oohhh.. quick question.. which would you recommend sa normal to combi skin type?this one or L'Oreal Mat Magique ? thanks!